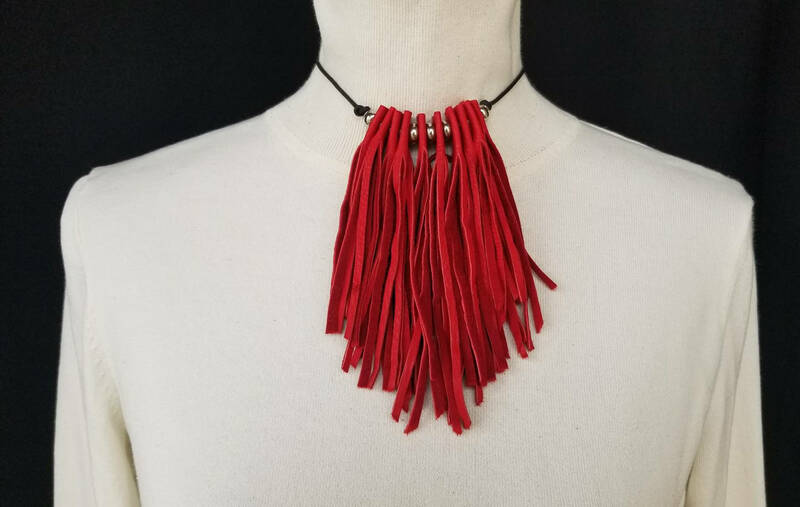 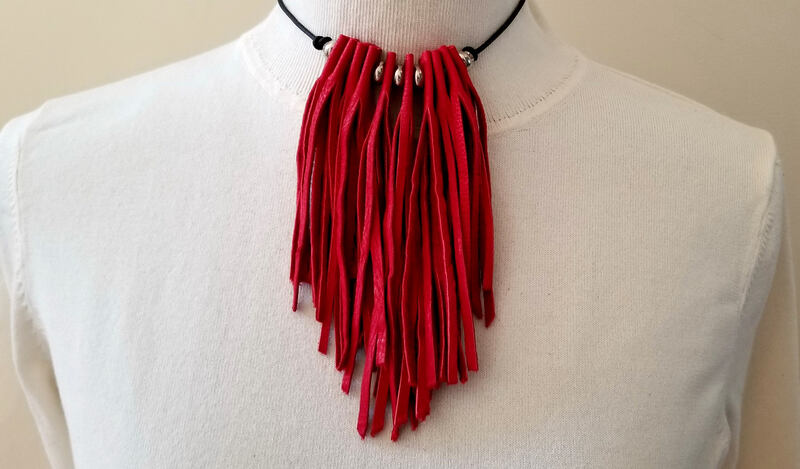 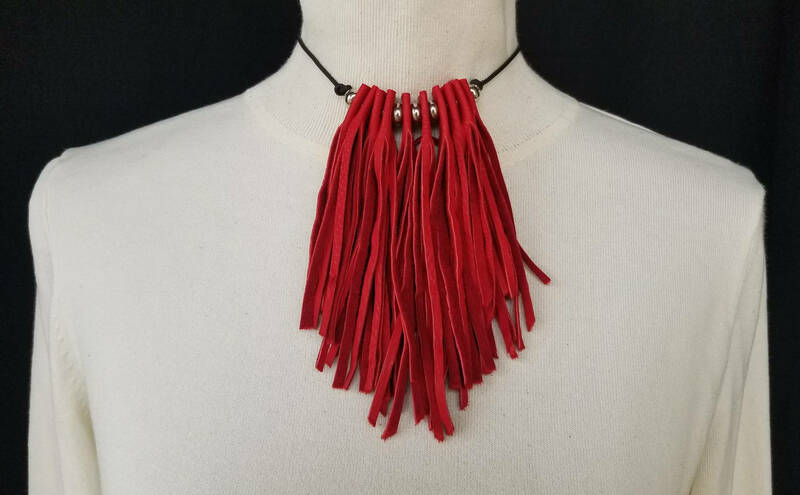 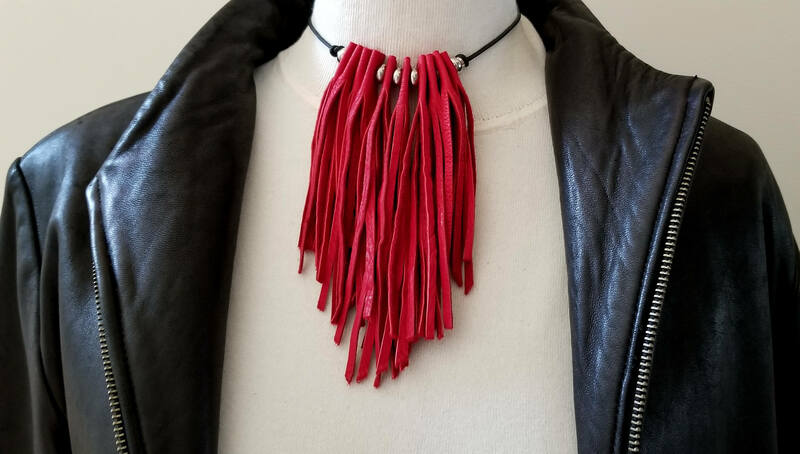 Very soft red deerskin leather accented with stainless steel beads . 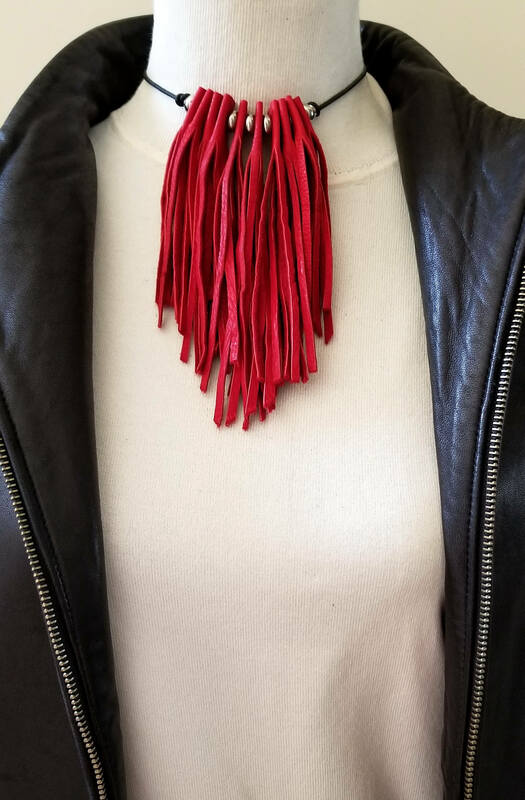 A statement piece for a party or just everyday wear. 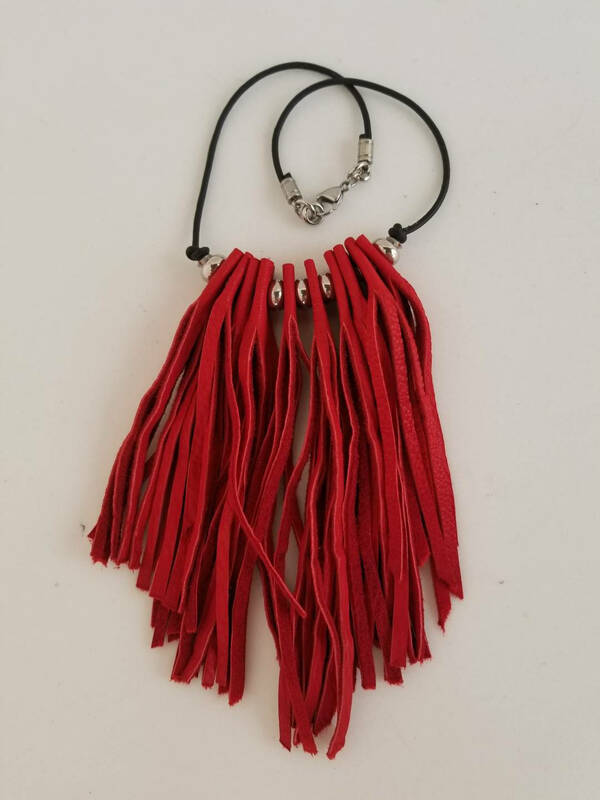 The length of the fringe is about 7"